Kittens, here we are once again: the end of one year and the beginning of the next. 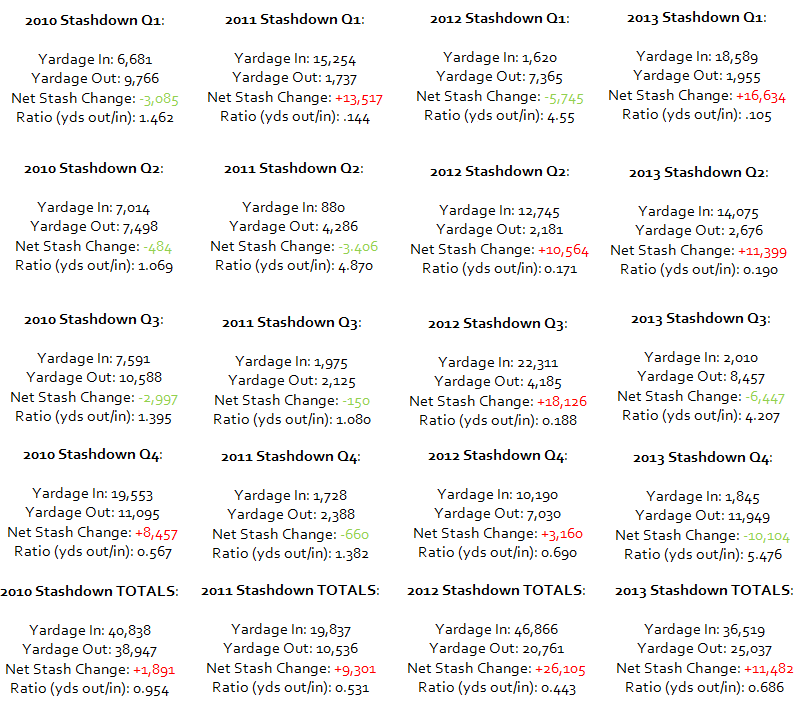 My fourth year of Stashdown participation has been completed, and for the fourth year in a row…I am in the red. I still feel optimistic about the process. My stash out/in ratio was slightly larger this year than the previous two and while red, my stash in number was significantly smaller than the year before. (And this time it included not one, but two, blanket quantities!) For me, Stashdown has always been about the process and the opportunity to collect data about my crafting and stashing habits. I’ve learned so much about myself during this exercise. I know it would be crushing for some, but I still feel encouraged and plan to keep going. I am not an All-or-Nothing person. I am feeling quite certain that 2014 is the year that I will finally see a stash reduction overall for the year. Bring it on.